Call us toll-free, 7 days a week! 1-888-444-9994 "Where the cart is just the start!" How do I find my Golf Cart serial number? It's very important to know the make and model of your golf cart. 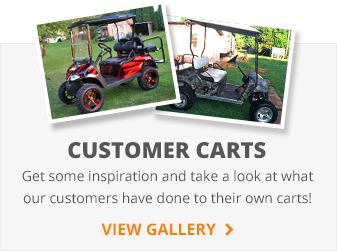 Accessories such as golf cart lift kits and golf cart covers are made for specific models of golf carts. Golf cart lift kits must take into consideration the chassis and body types of specific models. Golf cart covers are other examples where the different sizes of tops and roof supports make the golf cart model and year extremely important to achieve a perfect fit. 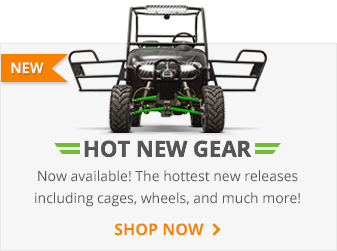 Use the links below to help you determine the year and model of your cart. Receive exclusive weekly deals and get 5% off your next order by joining our email program!